Have we actually realised that, if planet earth dies, so will we? And if so, are we ready to dedicate our time and effort to making mother Nature’s voice heard? Demetres Karavellas challenges the TEDxPatras audience to acknowledge the emergency lying beneath those simple yet demanding questions. The CEO of WWF Greece talks about the inseparable bond between environmentalism and active citizenship and explains why the environment is amongst those values that have and will always withstand change in time, displaying a constant that determines our very existence. 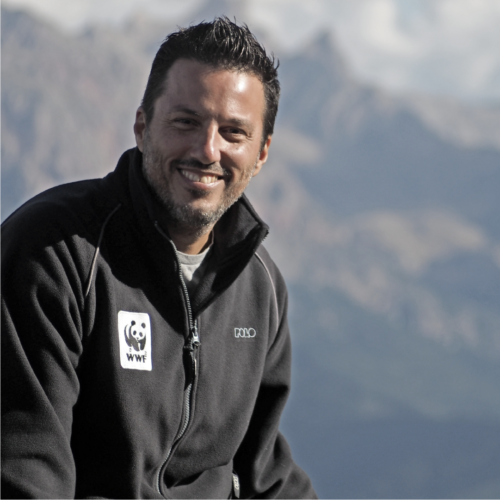 Demetres Karavellas is a conservation leader who has worked with WWF in various posts for nearly twenty five years. He has been active in the field and on key policy issues linked to natural resources, conservation of endangered species and critical habitats, climate change and sustainable development, at national, regional and global level. He is the CEO of WWF Greece and is presently also chairing the WWF Mediterranean Marine Initiative, a concerted network-wide effort to conserve the valuable marine and coastal ecosystems and promote a sustainable blue economy for the region. He holds a BSc in Marine Biology from Queen Mary University and a MSc in Fisheries Biology & Management from Bangor University. He has a passion for the sea and has explored many marine sites around the world, but feels most at home in the waters of the Aegean Sea.